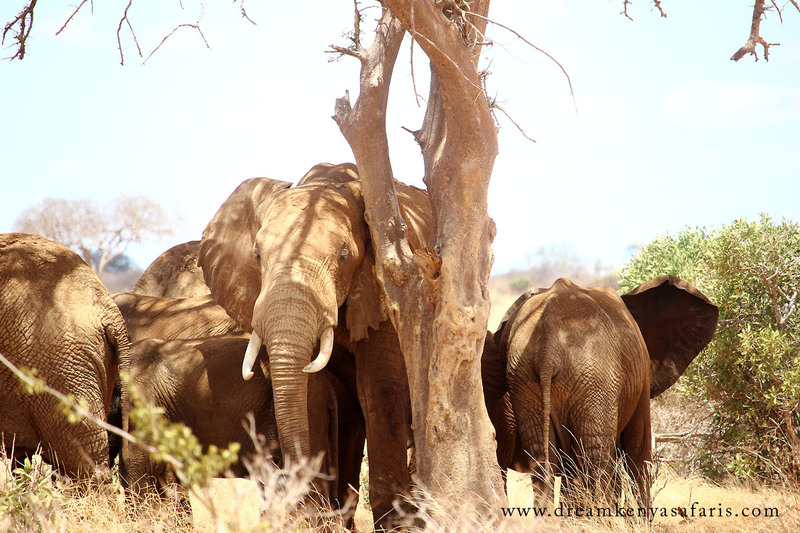 Tsavo East is one of the largest game reserves in Africa, situated mid-way between Nairobi and Mombasa. The Galana River passes through the Park and this provides life giving waters in this arid region. It is home to some of the largest Elephant herds in Kenya. There are several entrances to Tsavo East, Bachuma gate, Voi gate, Manyani and Sala gate from Malindi. The closest one from Mombasa being Bachuma gate which is approximately 122km. • Mudanda Rock – this rock towers above a natural dam which draws many Elephants to slake their thirst every day. • Lugards Falls – these falls occur on the Galana River, passing over some interestingly shaped rocks. 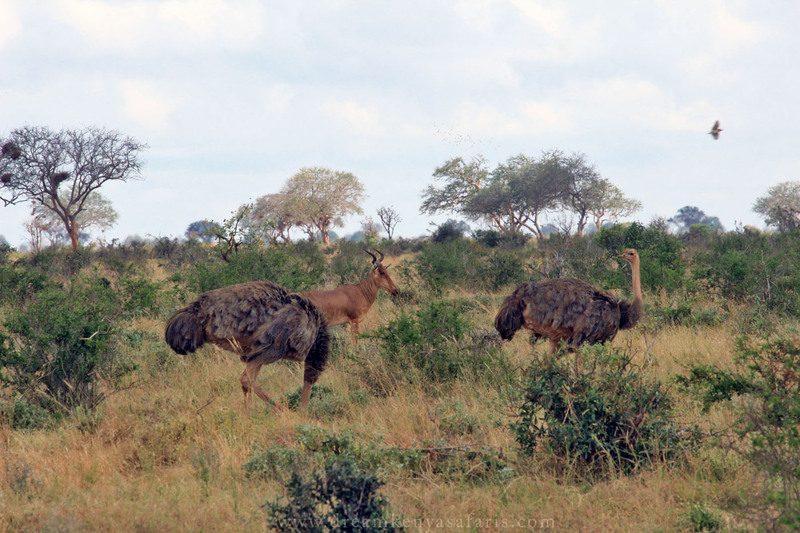 What to do in Tsavo East National Park – Game drives, bush walks, bird watching. 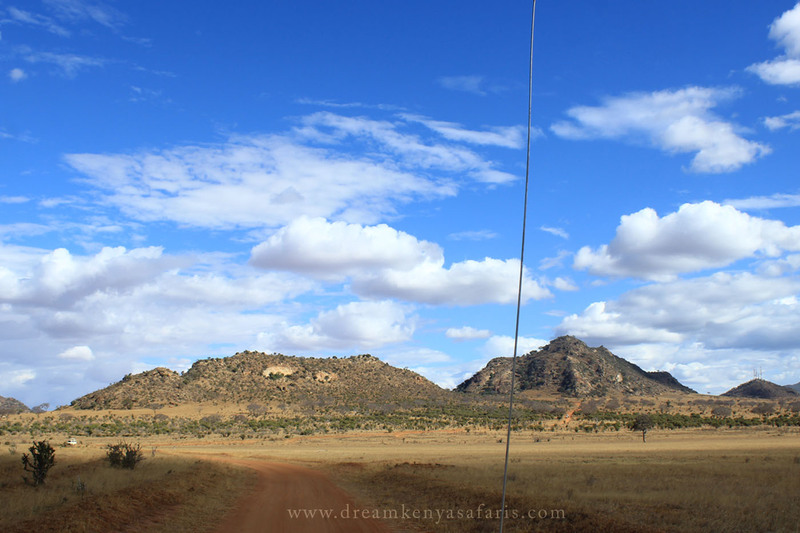 Tsavo East is Kenya’s oldest national park. It is home to the largest Elephant herds in the country, as well as large prides of Lions. The region was made famous due to the Maneaters of Tsavo, two Lions that killed around 130 people during the construction of the railway line in 1898. 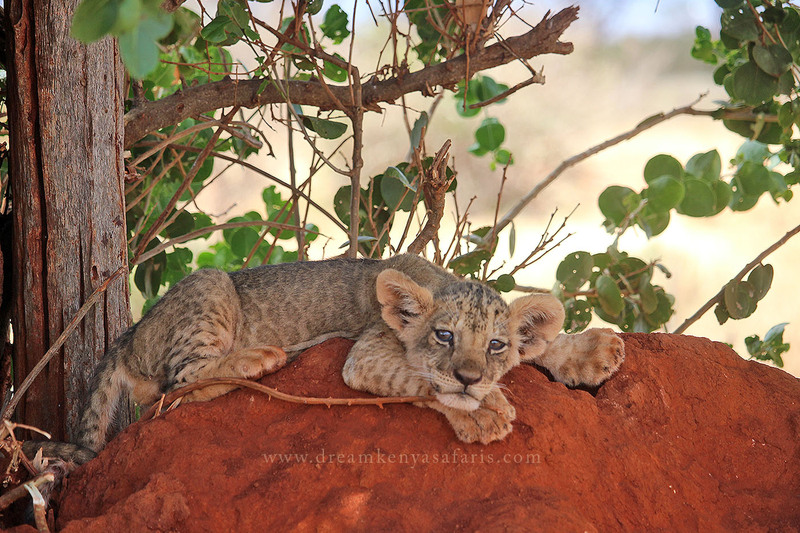 Today tourists can see the large prides of Lion which call the Tsavo National Park home. One of the Park’s most recognisable features is the Yatta Plateau which is the longest lava flow in the World, stretching for over 300km (185 miles). Another attraction is the Lugards Falls, where the Galana River cascades over a series of rapids created by interestingly shaped rocks. The Park offers the quintessential safari experience, and the game viewing is usually best around water sources such as the Aruba Dam. 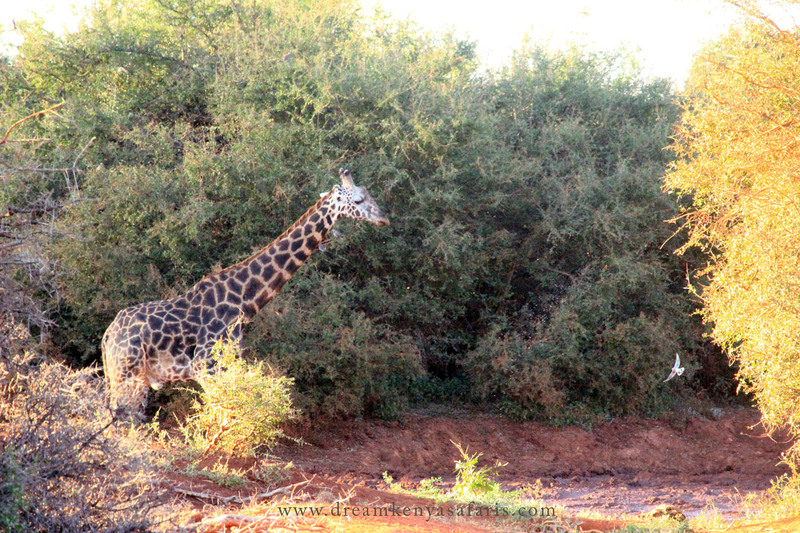 The Park is home to a good population of Giraffe, many Zebra, Impala and Gazelles, as well as irascible Buffalo. Predators are represented by large prides of Lions, elusive Leopards, and the fastest animal on land – the Cheetah. Tsavo East park has several accommodation options both inside and outside the park. The Tsavo East National Park has a moderate climate as it is located close to the equator. The temperatures range between 20 and 30 °C. There are two wet seasons, the long rains between March and April and the short rains between November and December.